Kaju Karela (Crispy Cashew nuts Bitter Gourd) is delicious dry veg recipe. Deadly combination of cashew nuts, bitter melon and onion gives awesome tastes. I normally made this veg while guest at home. Bitter Gourd and cashew nuts are healthy option in vegetable. Normally kids not prefer karela but with such combination, kids will love this veg. Light peel karela and cut in to long strips according finger shape. Also peel onion and cut in to long strips. Fry cashew nuts till color change. Then fry karela till it becomes crispy. Now fry onion still it becomes light golden. 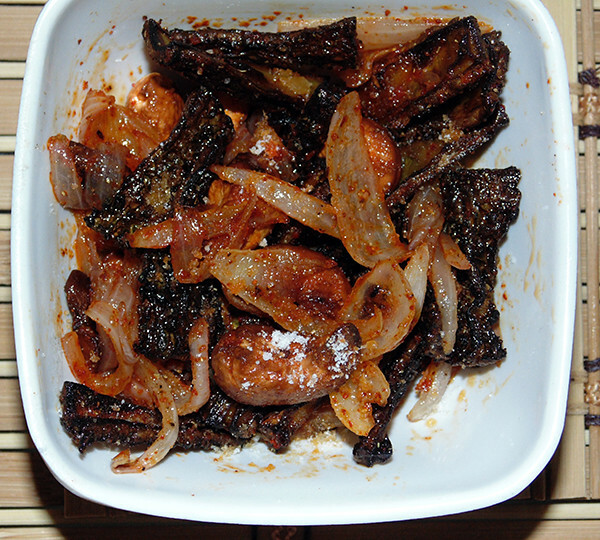 Mix karela, cashew nuts and onion in a plate. Sprinkle red chili flakes, salt, garam masala and lemon juice on it. Mix well and serve with regular dish. Tasty one and easy one recipe it is.